According to LIMRA research, more than one in three U.S. families would have financial difficulty within one month of a primary wage earner dying. More than half say they would be in financial jeopardy within a year. Having enough life insurance coverage could protect families from this risk. 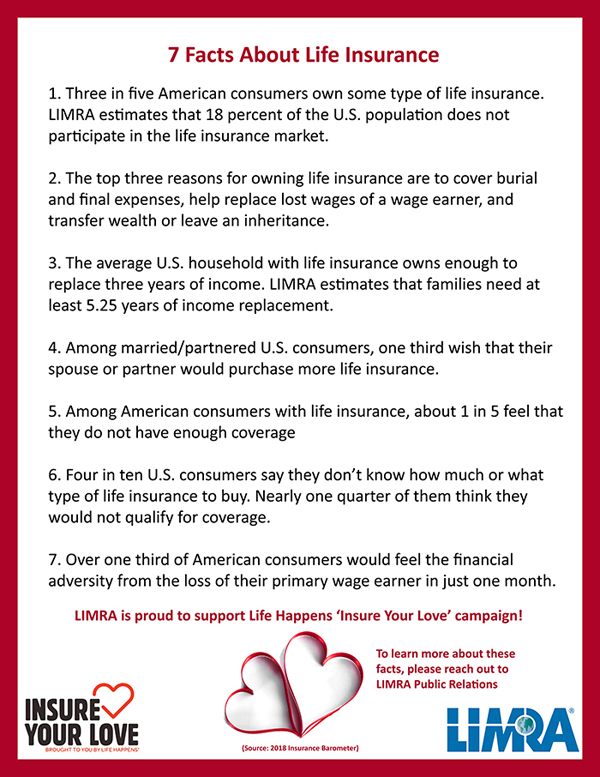 This is why LIMRA is proud to support Life Happens in their ‘Insure Your Love’ campaign this February. The month-long campaign is designed to educate Americans about the value of life insurance and how it helps protect families’ financial security. See the graphic below to learn seven facts about life insurance and how it can impact people in your life. 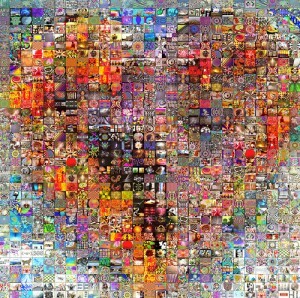 Join LIMRA and Life Happens this month to celebrate the ‘Insure Your Love’ campaign! For additional information, please reach out to LIMRA’s PR contacts.